PROJECT-BASED WORK can get overwhelming quickly. Missed deadlines, forgotten milestones, and messy spreadsheets cut the motivation, and lead to lower work productivity. Working without a clear project plan will lead your team to a crossroad with no clear action plan. By creating a simple project management timeline for each new project, you’ll benefit in multiple ways. Setting up a project roadmap doesn’t have to be difficult. By using an online project management software, you can easily track and manage planned activities, project timeline, and keep your eye on the project progress. Start developing your project management timeline by reflecting on long-term goals and time frame, and move on into greater detail. Creating a project strategy starts with a clear understanding of the final goal. It might be the outcome you’ve agreed on with a client or a business goal you’d like to achieve with a long-term project. It’s important that the entire team agrees on your mutual goal. Avoid misunderstandings already in the planning phase to simplify the prioritization process, and ask for everyone’s approval for the main goal. Tip: Think about the time in the future when you’ve completed the project. What achievements are you most proud of? Add these small wins alongside your main goal to keep your team’s motivation and the quality of work high throughout the project. 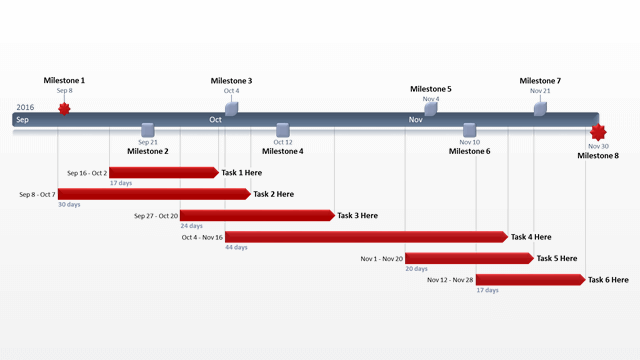 Project milestones are a great way to illustrate, schedule, and evaluate your project’s progress. They could signify key meetings, approvals, project phases, or partly delivered work. Milestones are small actionable steps that lead to your main goal. By breaking big projects into smaller chunks, your team’s able to keep track of every project phase and notice the shortcomings such as crossed deadlines. If you’re unsure what the milestones for your project are, chances are that you haven’t really thought through the primary goal. So step back and reconsider your project’s main objective. Tip: When working on a complex project, assign each milestone to a specific team who’s responsible for its completion. This way, you always have someone overseeing each milestone’s progress. 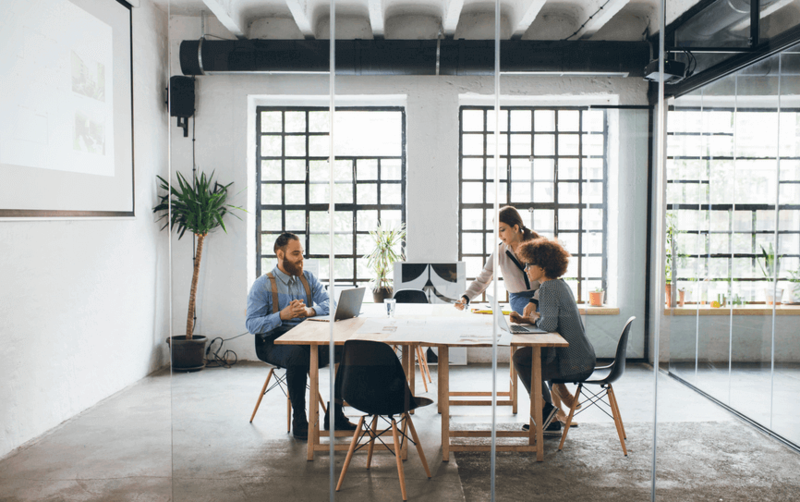 After you’ve made a list of all the important project milestones, it’s time to set a reasonable timeframe for achieving each of these objectives. Be careful not to overrate your team’s capacity in this phase of planning. Failing to meet the first milestone will also mean less time for the next ones, leading to many crossed deadlines. Consider how much input, work, and resources reaching each milestone will take. Tip: Recall your past projects – how much time did reaching specific milestones take? Use this information as a guideline for deciding on the timeframe for each new milestone. A thoughtful project management schedule can be used throughout the project, not just in the initial planning phase. You should be able to use the timeline to keep track of project progress, and to communicate progress at status meetings. Are all parts of the timeline shared with the entire team? – If not, you’ll need to create multiple project timelines plus a “master timeline” with all the project steps. Do you need to add multiple layers of information? – Complex projects need sub-tasks to manage each activity. You might need a better tool than a spreadsheet to keep track of every important detail. Tip: Sometimes, a simplified project timeline isn’t complex enough to take your projects from start to end. You might need project planning software. Now that you’ve got a clear overview of your project goals, milestones, and timeframe, it’s time to finally create the timeline. There are multiple tools that can help you create an actionable project plan. Think twice before you download an Excel project template. These free templates might be easy-to-use, but lack the flexibility needed to plan more complex projects. If you want to be able to track your project progress and have a complete overview of your team’s work, start using a project management tool. These tools are built to help you with every aspect of project management, including work planning, task management, budgeting, and business intelligence. Some tools even have a project dashboard that lets you track all projects on a single page. Tip: Consider how you’re going to report on your project progress and make sure that your timeline facilitates the analysis process. Before you consider your project timeline to be safe for work, take an extra step that will pay off in the future – review the project plan with your team and clients. Start with your team. Ask everyone to take a look at your roadmap and check whether all the important milestones are present. Encourage people to speak up if they notice something questionable or consider your timeframe too packed. It’s better to set things straight before starting the project, not a couple of weeks into the progress. Don’t forget to ask for your client’s approval. You don’t need to show them the entire project timeline, but ask them to confirm some of the milestones and delivery dates. Explain why each delivery or approval date was set for a specific time, and ensure that all your accounts are happy with their project’s timelines. Tip: Leave a few unscheduled days between each milestone to catch up with potentially passing deadlines. After you’ve set up your project management timeline and have everyone’s approval, it’s time to get into action. Share the final roadmap with all your team members and explain how to use the framework. Ensure once more that everyone’s aware of their work tasks and contribution to each step of the project. If someone’s not engaged in a certain project step, find ways to use their potential and time on other projects instead. Having a clear overview of upcoming and completed tasks helps to keep the level of motivation high, and increases your team’s overall productivity. Tip: When working on complex projects, conduct brief one-on-one meetings with your team members to ensure they’re on the right track. One of the main benefits of having a project timeline is that you’re able to track your team’s progress. You’ll know what everyone’s working on, where you’re currently standing, and can easily communicate this information to other counterparts. Make your project timeline actionable and reflective of the real-time situation by asking everyone to mark their progress. If you’re using online project management software, progress could be tracked done by marking project tasks done. Find a method that works best for you and your team. Check this article to learn about time tracking best practices and apply these to your project management. Tip: Analyzing and comparing the outcome of completed projects gives a valuable insight into your team’s performance. Use this data to compare, learn, and modify to increase the efficiency of your project planning. Having a timeline for each big project will help you deliver on time and focus on top priorities. By taking these eight steps, you can create foolproof project management timelines that will take your team forward.